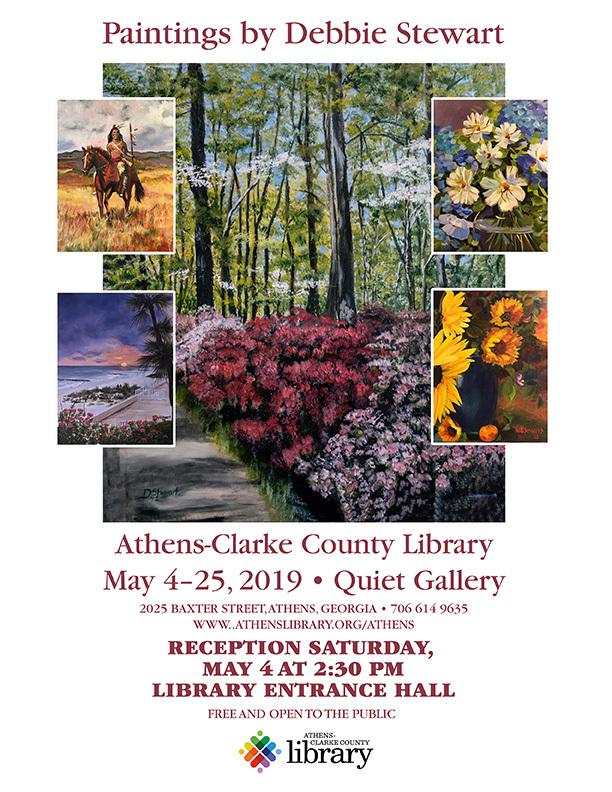 The Athens-Clarke County Library Quiet Gallery is pleased to present the work of Winder artist Debbie Stewart. Stewart was born in Atlanta. She showed promising talent as an artist early on, but she took another path. After more than 30 years as a nurse, she has resumed painting. 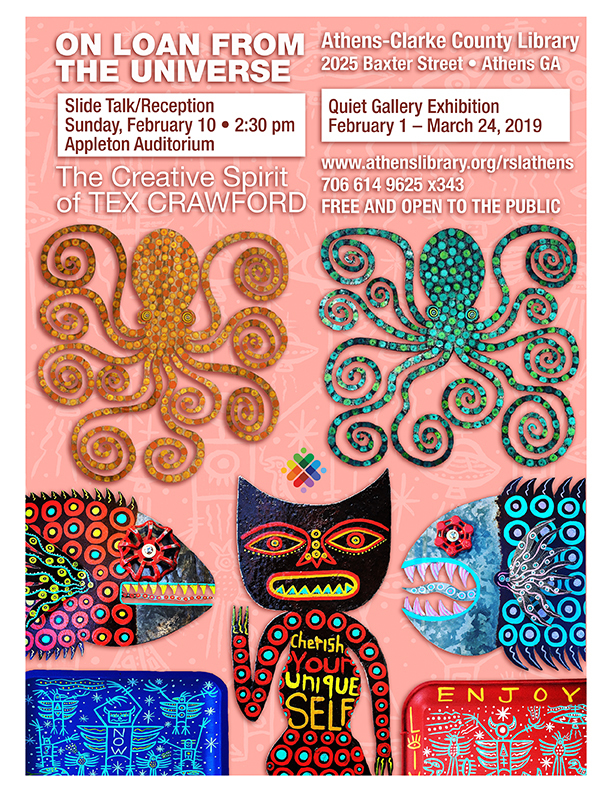 Please join us in Multipurpose Room C on Saturday, May 4 at 2:30 for a reception with light refreshments, and the Quiet Gallery on the library’s second floor will open the exhibition, which will run through May 25. 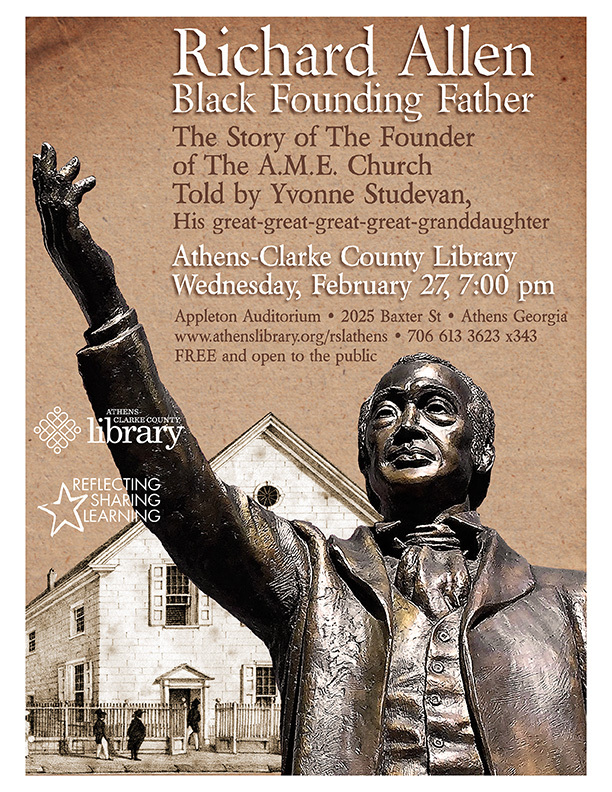 Join us Wednesday, February 27 at 7:00 pm, for a talk about minister, educator and writer Richard Allen, who was born into slavery on February 14, 1760, and later converted to Methodism and bought his freedom. Fed up with the treatment of African-American parishioners at the St. George Episcopal congregation, he eventually founded the first national black church in the United States, the African Methodist Episcopal Church. He was also an activist and abolitionist whose ardent writings would inspire future visionaries. Allen helped found the Free African Society, a non-denominational religious mutual-aid society dedicated to helping the black community. A century later, scholar and NAACP founder W.E.B. Du Bois called the FAS "the first wavering step of a people toward organized social life." Helped by his wife, Sarah, Allen also helped to hide escaped slaves, as the basement of his church was a stop on the Underground Railroad. V. Yvonne Studevan hails from Yeadon, Pennsylvania. A graduate of Cheyney State University with a Bachelor's of Art in Education, and Georgia State University where she received her Master's of Education. As a retired educator, Yvonne spends her time traveling, painting, and serving on various community boards. In addition she spends time researching family history and the legacy of her great-great-great-great-grandfather, the Rt. Rev. Richard Allen. Yvonne resides in Athens with her husband, Dr. Russell Studevan. 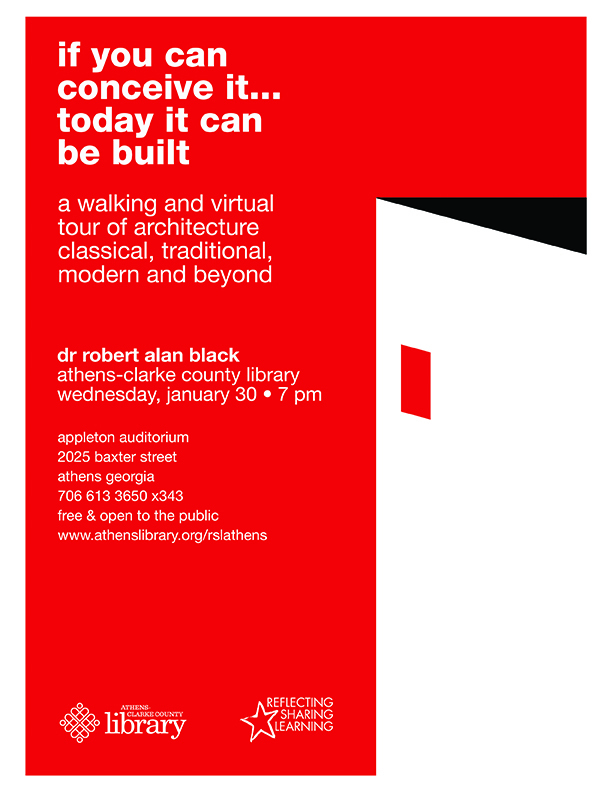 This program is co-sponsored by the Association for The Study of African American Life and History. 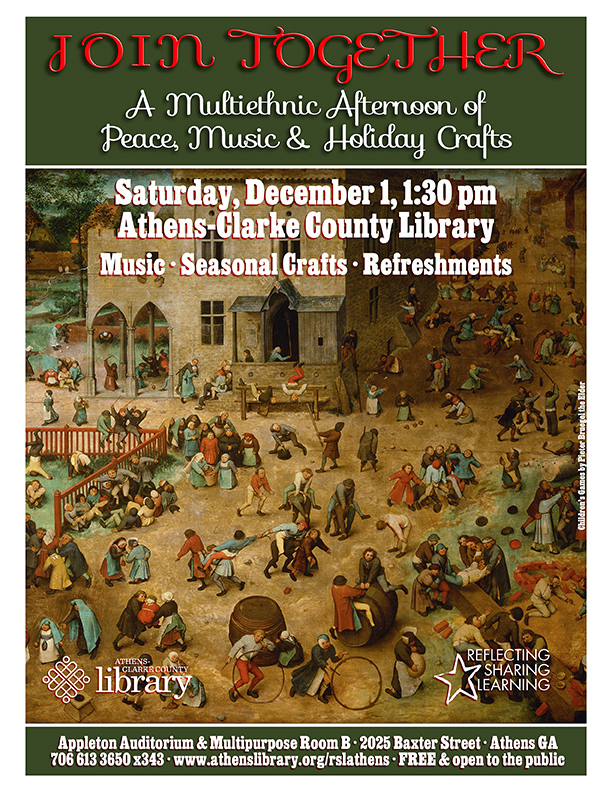 Come join us at the library on Saturday afternoon, December 1, at 1:30 pm for an afternoon of beautiful music and crafts as we celebrate the different facets of the season. You can visit the Appleton Auditorium and hear artists performing seasonal music, and in Multipurpose Room B we will have demonstrations of different seasonal crafts you can learn and create on the spot, such as bow tying, ornament making, and assembling an inexpensive present. Enjoy a complimentary beverage and snack with us and observe the holiday of your choice, or all of them!